The magnificent tall ships will muster for the Parade of Sail just southeast of Portland Head Light around 1:15pm on Saturday, July 18. The Parade begins at 1:45, when the first ship sets sail for the main ship channel into Portland Harbor. Up to 14 ships are expected to sail in the Parade, stretching out single file for more than 2 nautical miles. See map below. Iberdrola USA Tall Ships® Portland 2015 offers many opportunities to enjoy the Parade and the tall ships’ visit from the waterside. Sail on Portland's own tall ships! 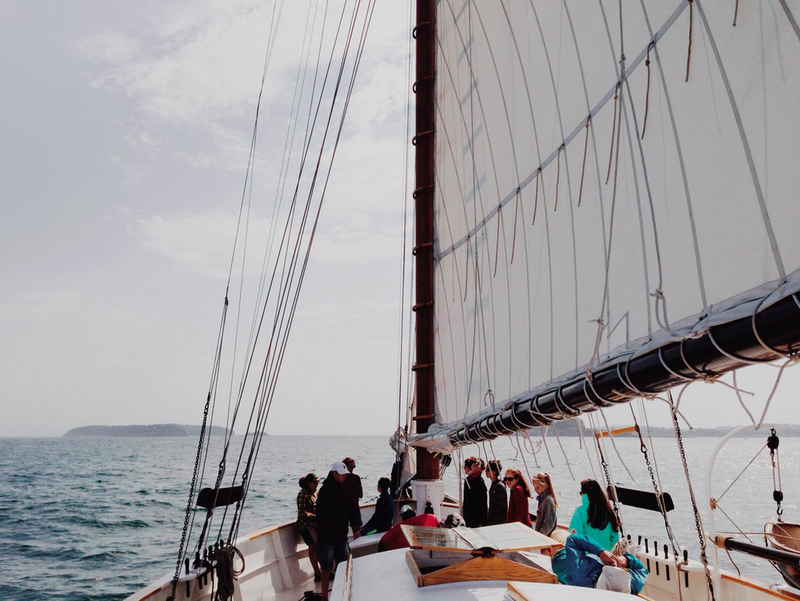 Portland Schooner Company’s two schooners Wendameen and Bagheera and Maine Sailing Adventures’ Frances are offering sails throughout the weekend. All three are in the Parade of Sail so that could be the best seat in the house! Details and tickets: www.tallshipsportland.com, www.portlandschooner.com and www.mainesailingadventures.net Don’t miss the night sails too on these ships! There are plenty of opportunities to find your spot to see the ships. See the map below. Here are just a few options: Fort Williams in Cape Elizabeth, Bug Light Park in South Portland, Willard Beach in South Portland, SMCC grounds in South Portland (go to smccme.edu/tallships for more information on food and parking), the Maine Narrow-Gauge Railroad - (rides until 3pm Saturday) for tickets: www.mainenarrowgauge.org, Ft. Allen Park in Portland, the entire Eastern Promenade and Portland waterfront and dozens of other smaller locations.